Tulsa-based author David McKinney and illustrator Hanna Tuohy will be signing copies of their Aaron the Aardvark books on Saturday, May 7. The book-signing will be held between 2:00 and 4:00 pm at the Tulsa Toy Depot, 10114 S. Sheridan Road. Aaron the Aardvark Turns Into a Statue was released earlier this year. The first book in the series of Aaron the Aardvark adventures, Aaron the Aardvark Gets Antsy, was released in 2015. Each book combines a mischievous boy’s adventure with playful definitions to expand a child’s vocabulary through poetry. Future books, written for older children, will follow Aaron as he grows older. Each adventure is based on stories David told his children as they were growing up. 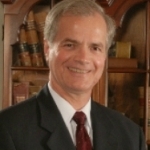 David is an shareholder with GableGotwals law firm. Hannah is married to Justin Lollman, who will be joining the firm in September as an associate attorney. For more information, please call the Tulsa Toy Depot at 918-231-4022. 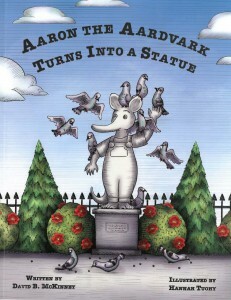 Aaron the Aardvark Gets Antsy and Aaron the Aardvark Turns into a Statue are both available in paperback form on Amazon in addition to being available on all electronic book websites.